I had done with half of a trial bottle of Lancome Blanc Expert Essence Lotion EX, aka “Blanc Expert Melanolyser AL”, this is medicated lotion for brightening. As you know Lancome is a French Giant, but they also have a big laboratory in Japan, and focus on Japanese ladies. 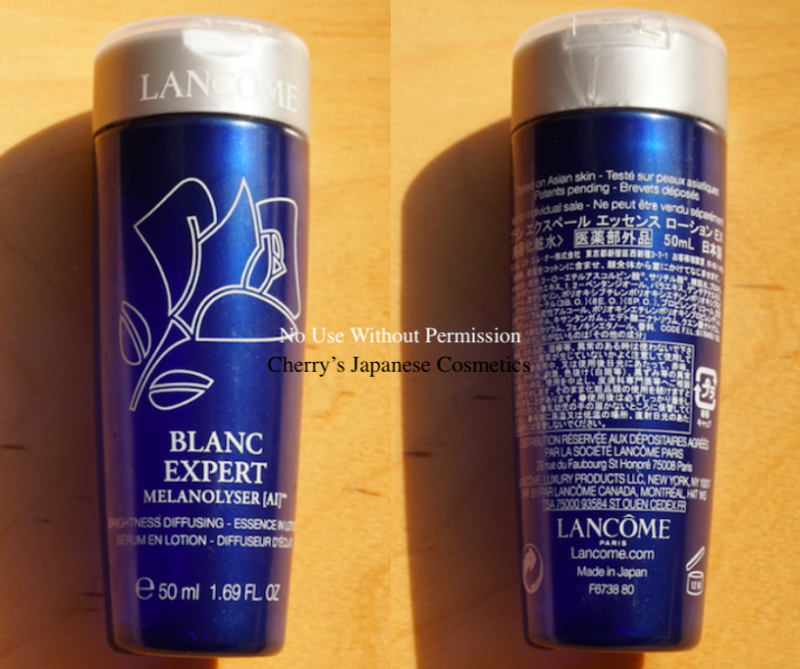 This lotion of “Lancome Blanc Expert Essence Lotion EX” in Japanese, in French is “Blanc Expert Melanolyser AL”, is made in Japan. I am not sure about when in your country, but unlike Genifique Advanced, they do not claims as this is only for sold in Japan. Probably this is for Asia-Passicfic region. The lotion is transparent, and a little bit sticky. 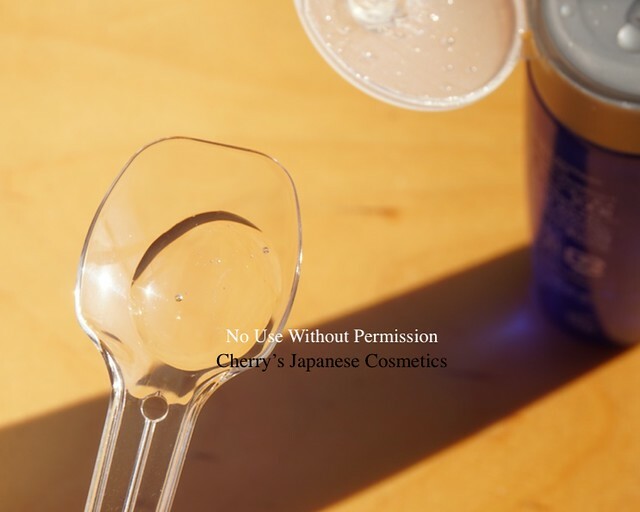 There are Ingredients list both in Japanese, but not in online, I do not describe to translate in my hands. Seems Vitamin C as 3-O- Ethyl-L-ascorbic acid is for brightening. I had used half of 50ml, but I am not sure whether it works or not. As a moisturizer, it was not pretty bad. I did not feel anything sensation or irritation, fortunately. For the season of dryness, I never recommend if you do not use anything creams after this lotion. Probably it can be for the Summer. There is scent, it is not feint, it is not fantastic for my using. Totally to say, this perfumed lotion is not bad for as the moisturizer.